Fall prevention is one of the most important aspects of home safety for seniors. When you think of home safety, you may shrug your shoulders. You may think, “I’ve been in this home for years. I know where everything is and I’ve never had any problems.” Many people feel this way, and many simply never think to revisit the layout of their homes as they age. But did you know that having a fall-safe home can help improve the quality of a seniors’ life and keep them in that home for years to come? According to the National Council on Aging, every 18 seconds, someone age 65 or older is treated in an emergency room for a fall injury. Falls which result in broken bones, fractures, or head injuries are common. Falls can also put extra stress on family caregivers, who may constantly worry about if or when the next one will occur. In other words—fall prevention is huge. 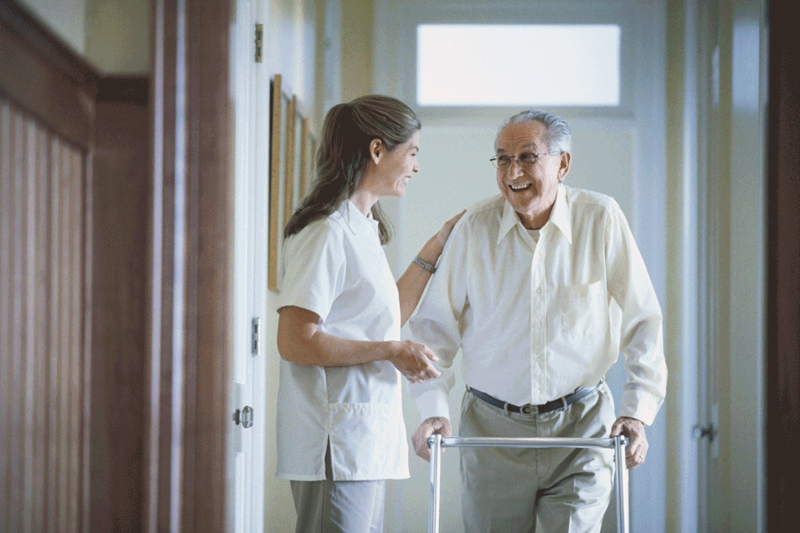 Preventing falls can help keep seniors out of the hospital. It can help families live worry free. Put grab bars in the tub and next to the toilet. Use bright lights in corners, halls, and stairways. Clear pathways of clutter and electrical cords. Put handrails on both sides of stairs and steps. Start a regular exercise program such as T’ai Chi. In addition to these tips, Preferred Care at Home offers a complimentary 53-point home safety inspection. Just contact a Preferred Care at Home location today to get your home inspected today. For additional tips on fall prevention, inside and out of the home, click here.